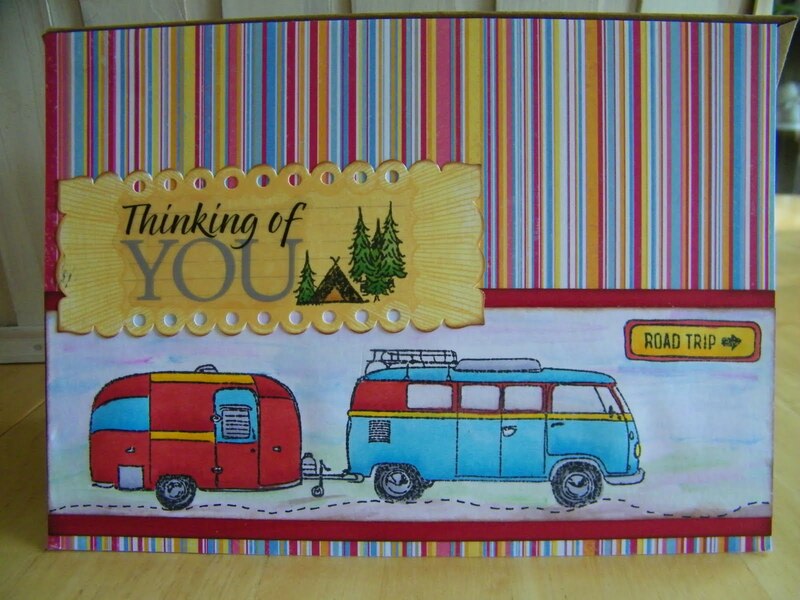 Everyone needs a vacation and I know that we love to go RVing!!! Seen this cute stamp from Inkadinkado and thought it would make a fabulous card. 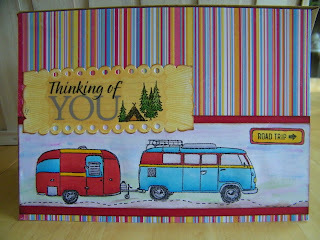 Always thinking of friends and family to go vist, so today I am just thinking of you and waiting to head out on our next road trip. I LOVE THE STAMP...I can see myself using that stamp so much....my parents love to travel and this is so them. What a great card! these colors are fabulous and I love the stamp!!!!!!!! Love the Copic coloring Pam! I passed along 2 blog awards to you. You can get the buttons from my blog! Your work is awesome! "If Those Shoes Could Talk"